Typically, a utility company doesn’t report to the credit bureaus on a regular basis. It only sends updates when you don’t pay your account. If you have some utility in your name and you are trying to build your credit without using your credit card, call the company and ask them to report your regular payments to the credit bureaus. Like a utility company, a landlord doesn’t report to the credit bureaus. However, you can ask your landlord to notify the credit bureaus of your rental history, but first make sure your rental history is really good. Every positive report from your landlord will establish your credit history and better your credit score. If you are planning to go to a university or college, you can build your credit by getting a federal student loan. Despite your credit history, you can qualify for a loan. Although repayment may be deferred until 6 to 9 months after you graduate, you can begin paying it off while you are still in college. Timely payments every month will add positive information to your credit history. Another way to build your credit without using your credit cards is to add your name to your parent’s credit card. As an authorized user, your parent’s credit card’s activity will appear on your credit report. Just ensure your parent uses this credit card responsibly, otherwise it can affect your credit score. If you do not have a credit history, many car dealerships may not offer financing. But if you buy your car from a fresh start car dealer, consider qualifying for a loan without credit history. It usually offers in-house financing. Yes, you might pay a higher interest rate, but timely payments every month will help you build your credit history, and it can even help you qualify for a better loan down the road. Nowadays there are many individual investors who give private loans to people with no credit history. Typically, these loans have lower rates than rates offered by banks. Plus, if you ask politely, a private investor can report your timely monthly payments to the credit bureau. Have you already opened an account with a credit union or bank? If no, consider getting a small personal loan. This will help you to build your credit without using credit cards. You can use any valuable assets as collateral, such as jewelry or electronics. Qualify for a small loan and pay it off over the next several months. The credit union or bank will certainly report your timely monthly payments to all credit bureaus. A credit card is convenient and useful, but you can get into debt if you can’t control your spending. 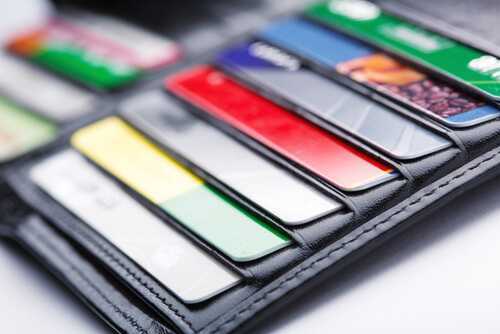 Follow these tips and you can establish your credit history without having a credit card. Are you going to use any of the suggestions mentioned above?